I love summer and I love my sons, but it’s around this time every year that I really love back-to-school time. Speaking of school, with the majority of the Daily Dose of Dairy subscribers being formulators, marketers and business development specialists at dairy processing companies, I certainly hope you have been celebrating the good news regarding dairy’s positive positioning as a competitive food in schools. In case you missed the scoop, which was pretty easy to do, as the ruling was published on June 28 in the Federal Register, this was the Friday preceding the week of the Independence Day holiday, one of the most popular weeks for Americans to vacation, I am providing you the good news you need to know. Thank you International Dairy Foods Association (IDFA) for this summary of USDA’s interim final rule for the nutrition standards for competitive foods and beverages in schools. The ruling came less than three months after receiving hundreds of thousands of public comments on the proposed requirements. 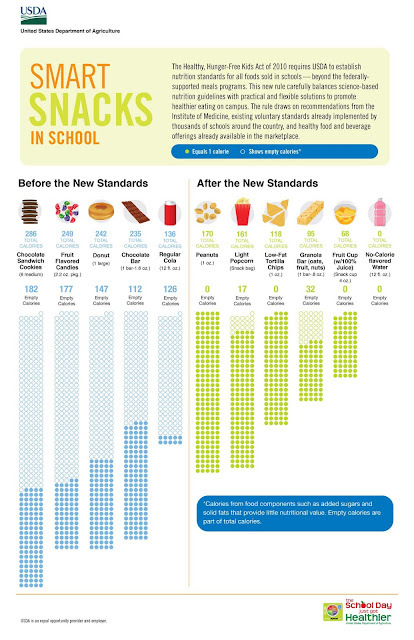 These standards, called “Smart Snacks in Schools,” allow for a wide variety of dairy products as competitive foods and beverages in schools. 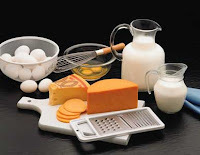 Dairy products, such as yogurt parfaits, low-fat ice cream sandwiches, string cheese sticks or milk sold individually, will continue to be available as competitive foods and beverages. HURRAY! There are nutritional limits set for saturated fat, trans fat, total sugars and calories, but the limits set up by the interim final rule will allow for a wide range of dairy products to be available to school children. This interim final rule will regulate the food and beverages offered at schools through a la carte lunch line, campus snack bars and in vending machines. The regulations apply to food sold during the school day (midnight before to 30 minutes after the end of the official school day), which does not include after school programs, sports events or activities. In addition to defining a sugar limit, USDA set requirements that would allow for non-standard dairy products and clarified that non-nutritive sweeteners are allowed in competitive products, although schools could set stricter standards. The interim final rule also extended exemptions from fat limits to reduced-fat cheeses, including part-skim mozzarella cheese. Limits on calories and sodium were set on a portion basis, which will encourage smaller individual packages to meet the requirements. 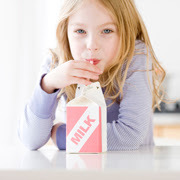 Low-fat or fat-free unflavored milk in containers up to 8-fluid ounces in elementary schools and up to 12-fluid ounces in middle and high schools. Fat-free flavored milk, with no sugar or calorie limits, in containers up to 8-fluid ounces in elementary schools and up to 12-fluid ounces in middle and high schools. Reduced-fat cheese snacks, including part skim mozzarella cheese, with 200 or fewer calories and 230 milligrams of sodium or less per portion, as packaged. Low-fat ice cream novelties with less than 35% calories from fat, less than 10% calories from saturated fat and less than 35% by weight of total sugar. Frozen dairy desserts with less than 35% calories from fat, less than 10% calories from saturated fat and less than 35% by weight of total sugar. In addition to milk, water and juice, high schools will also be permitted to offer beverages with 40 calories or less per 8-fluid ounce serving in containers up to 12-fluid ounces, and beverages with 5 calories or less per 8-ounces in containers up to 20-fluid ounces. There are no time or place restrictions on when high schools can offer these other beverages, which will compete with milk served as part of the school lunch or breakfast program. USDA indicated that it will monitor the sales of these low-calorie beverages to assure that their availability does not negatively impact the consumption of milk. SOUNDS GOOD TO ME, AS I WILL HAVE A FRESHMAN THE YEAR THESE REGS GO INTO EFFECT! 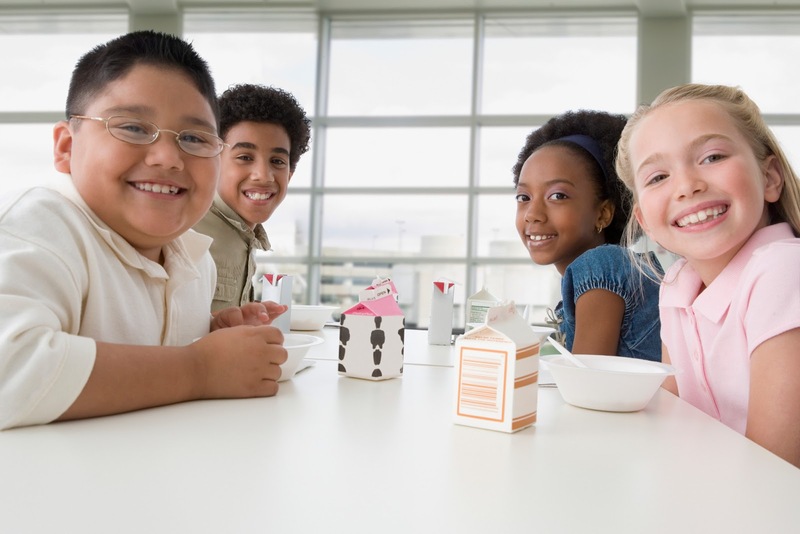 This interim final rule is a companion program to the updated nutrition requirements for school lunches, which were implemented for this past school year. USDA will accept comments on the interim rule through October 28, 2013. A summary of the competitive food requirements, along with the school meal nutrition standards can be found HERE. Click HERE to read the full interim final rule. In one month, August 26th, my boys will be back in school. Hurray! The Institute of Food Technologists (IFT) reports that more than 23,500 food science and technology professionals gathered at McCormick Place in Chicago this past week. I was on that expo floor all three days—from open to close—and that still was not enough time to explore all the innovations on display. 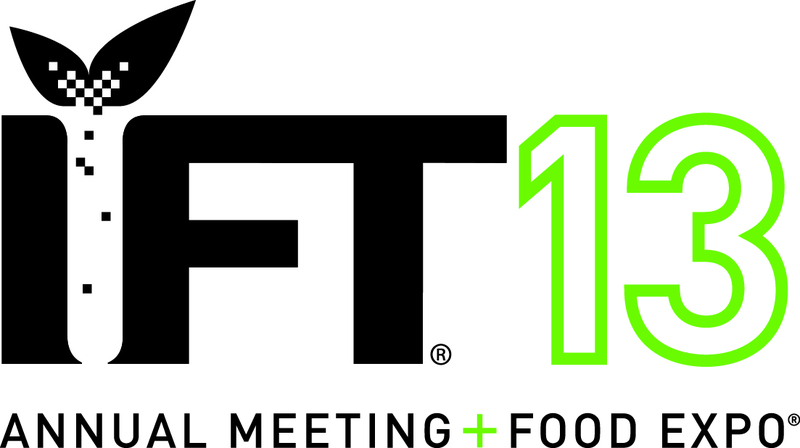 In my 23 years of being a food science professional (three as a scientist at Kraft and 20 as an ingredient technology trends tracker and writer), I believe I have only missed three IFT Annual Meetings + Food Expos. This was one not to miss! Honestly, this was an amazing IFT. Though dairy is my number-one passion, I am fascinated by everything food science. At this expo, I was walking and talking to suppliers and fellow food scientists wearing my Sosland Publishing hat, collecting information for all the publications, and this means information on all food and beverage product development. (I was in heaven!) I have never seen as much innovation in one show as I did this year. Congrats to the exhibitors and the Institute of Food Technologists for a show well done! When it comes to formulating dairy products, these are the five ingredient innovation trends that were prominent on the expo floor. Expect to see blogs dedicated to these topics in upcoming months, as well as articles in Food Business News. I will share the links. 1. Protein, most notably whey in its various forms, along with established (soy) and emerging vegetarian sources (pea, rice, etc. ), are being used for nutritional enhancement as well as clean-label emulsifying and stabilizing. Blenders are working with formulators to develop single-system proprietary blends. 2. 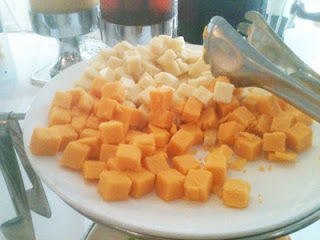 Natural colors were the buzz when it comes to adding eye appeal to dairy foods. Advancements have been made in non-bleeding natural color systems, food-only extracted colors and new sources for purple (think purple sweet potato and maquiberry juice concentrate) and green. Some even also deliver extra nutrition in terms of antioxidants. 3. 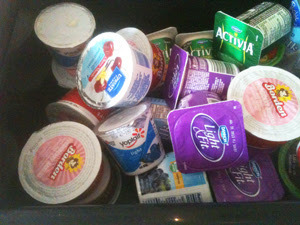 Lower-calorie sweetening systems for flavored milk, often based on stevia and/or monk fruit, were a frequently sampled prototype. There were so many variants, so many options and they were all so yummy. How’s a processor to choose? 4. 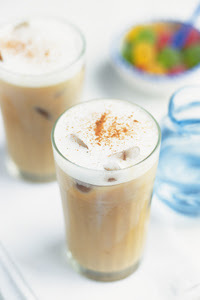 Coffee and milk is a match made in heaven, hence this summer’s numerous introductions of refrigerated, ready-to-drink coffee-milk beverages. Coffee extract suppliers showed us that there is so much more that can be done to create innovative beverages. Start planning for summer 2014! 5. The same goes for tea! Dairy processors are uniquely poised to be able to produce some of the best-tasting ready-to-drink iced tea in the market. And the iced category is hot! I loved the layers of flavors that I sampled, as well as those iced teas with functional ingredients. Unsweetened iced tea is my favorite non-dairy, non-chardonnay cold beverage. Suppliers showed attendees that super sweet is not necessary when you start with a high-quality tea ingredient. Keeping in mind that I very discerningly sampled prototypes in order to not wreak havoc on my overly sensitive gastrointestinal system, in all honestly, I did not taste everything…and I am sure I missed some fabulous products. Like I stated before, this show was exceptional in terms of innovation. Tate & Lyle’s Twice-Baked Fruit and Nut Cracker with Garlic Chive Mousse (super smooth and savory topping! 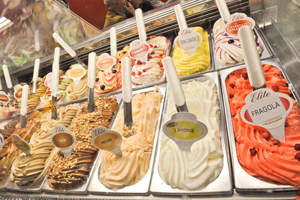 ), as well as the (lower calorie and sugar) Passionfruit Gelato. Kancor’s Cardamom-seasoned Low-fat Milk was a show-stopper for me. Wow! I almost asked for seconds. This flavor would be great in a nutritional beverage or a breakfast-style fortified milk drink. It’s time to think beyond chocolate, strawberry and vanilla. Ingredia’s Cheasing’Up technology blew my mind. The company is revolutionizing the world of cheese with a patented technology for hard and soft cheeses without whey separation through the use of its proprietary dairy protein ingredient. Ingredion served me breakfast every morning. Loved the self-serve yogurt bar, which featured a Greek-style yogurt and numerous functional toppings, such as reduced-sugar strawberry lemon ginger sauce and a prebiotic-enhanced granola. 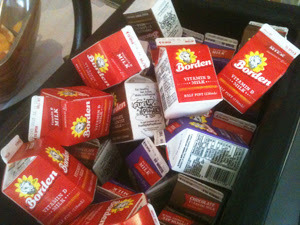 SensoryEffects’ Peaches & Cream Milk-Juice drink was a daily thirst quencher. That Energy Mocha Coffee also gave me a much-needed jolt a few times. Food professionals from all over the globe have started gathering in Chicago (my hometown—born and raised, and still here!) for the Institute of Food Technologists (IFT) 2013 Annual Meeting & Food Expo. This is the only annual event that brings together professionals involved in both the science and the business of food—experts from industry, academia and government. Would you like to meet for coffee to discuss an innovative product concept or ingredient technology…maybe banner ad opportunities? Want to see my 13-year-old son’s baseball playoff games on Saturday (less than a 20 minute cab ride from downtown and easily accessible via public transportation)? Connect with me via donnaberry@dairy-food.com. Need some inspiration to get your innovative juice flowing? Here are a few of my most recent articles published in Food Business News. The Annual Meeting & Food Expo is the only event of its kind to feature the very latest food products, the hottest food trends and the most important developments in the science of food. With more than 1,000 companies exhibiting, this event showcases the largest, most diverse collection of food ingredient, equipment and packaging suppliers from all over the world. More than 100 educational sessions and 1,200 poster presentations will provide information on the latest developments and trends in food science. MIXER: Dairy Foods Division SocialDon’t forget the Dairy Foods Division Social, which follows the Dairy Foods Oral Competition. The event will be held in Room S501ab on Sunday, July 14 from 5:30 to 6:30. Milk. Cheese. Yogurt. A Great Way to Start Your Day! Many Daily Dose of Dairy subscribers are vacationing this week, as I do receive your automated out-of-office email notification. But the above industry average open and click-thru analytics remain consistent, which suggests that like the cows who work 24-7, many of us in the dairy industry do the same. Thanks for being a loyal reader. I, too, am vacationing (while working), and am currently with my family in a remote area of Florida. 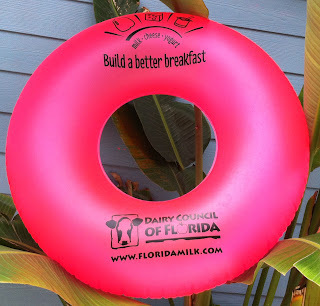 Prior to the R&R portion, I had the opportunity to speak on dairy product trends at the Florida Dairy Farmer’s summer board meeting in Sarasota last week. I was thrilled and honored to be able to start my vacation with a group of folks dedicated to the dairy industry. This is number-four (of five) for the special limited-edition flavored milks for Shatto Milk Company to commemorate its 10th anniversary of providing world-class milk to the Kansas City region. Each flavor is presented in a unique half-liter bottle featuring a fun word or story associated with the flavor. However, based on the success and rate of these flavors rolling out, I would not be surprised if there are a few extra surprises around the winter holidays. The fourth wildly anticipated flavor—Apple Pie Milk-- made its debut for the Independence Day holiday. Only 4,000 “INDIE” bottles were created. Fans of the limited-edition flavor need to act quickly as the Apple Pie Milk in these limited-edition bottles are “as supplies last!” Once the limited bottles are gone, the Apple Pie Milk will be offered until mid to late July in the normal pint bottles. To read more about the three flavors that debuted earlier this year, click on their name: SMOOCH, LUCKY and THANKS. Cheese can now be part of a breakfast-on-the-go with Old Fashioned Cheese’s convenient Snack Packs. 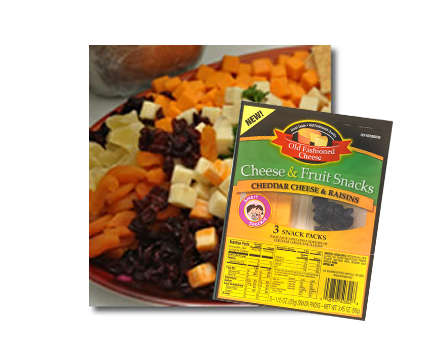 Three varieties are available, all of which combine the great taste of cheddar cheese cubes with a healthy side, including dried cranberries, raisins or almonds. Each package contains three single-serve packs of 0.65 ounces of cheese and 0.5 ounces of nuts or fruit. The folks at Chobani deserve a vacation after this rollout. 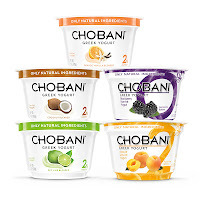 The company is adding 14 trendsetting flavors to its Greek yogurt product portfolio, including 6-ounce cups of Chobani Greek Yogurt, Chobani Flip Greek Yogurt, Chobani Bite Greek Yogurt and Chobani Champions Greek Yogurt Tubes and Cups. 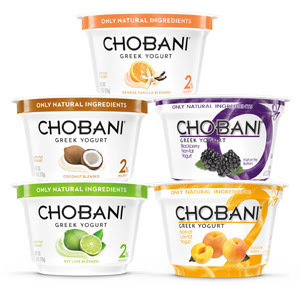 The new flavors were developed based on a combination of fan requests and an exploration of new exotic ingredients. 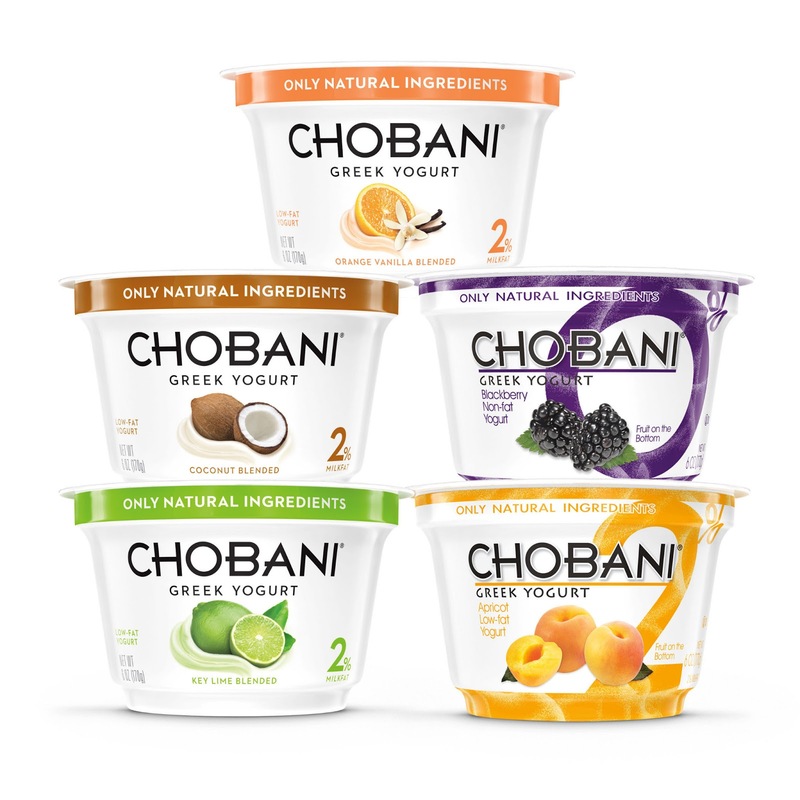 To celebrate the spectrum of new flavors, Chobani will encourage fans to tune into social channels for a Month of Flavor. Consumers can check Facebook, Twitter and Instagram every day in July to guess #WTFlavor will be featured next. The first consumers to correctly guess the flavor of the day on Instagram and Twitter will be rewarded with a free case of the new assortment. 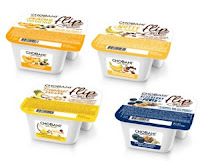 Chobani Bite Greek Yogurt: Two new crave-worthy flavors turn snacking into a mindful indulgence. 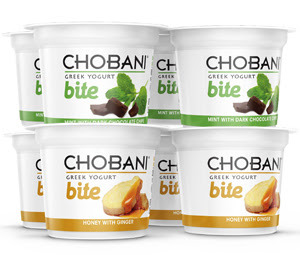 Featuring elevated flavor combinations of Honey with Ginger and Mint with Dark Chocolate Chips, each convenient 3.5-ounce cup of Chobani Bite contains 100 calories and 8 grams of protein for a satisfying, sink-your-teeth-into snack any time of day. 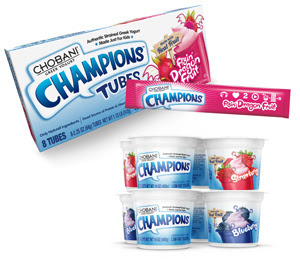 Chobani Champions Flyin’ Dragon Fruit Greek Yogurt Tubes are a grab-and-go way to feed the imagination and explore new ingredients with kids. The exotic fruit from the cactus family tastes like a refreshing blend of kiwi, pear, watermelon and mango with a decidedly tropical twist. In addition, two popular Chobani Champions Tube flavors--Blueberry and Strawberry--are now available in 3.5-ounce cups, giving kids access to a nutritious snack with or without a spoon. In closing, I would like to share one thought and a comment I recently received via a LinkedIn connection. With that said, I leave you with this final thought as you celebrate this summer holiday weekend: Milk is the only food that can be converted to many varied foods through the use of minimal processing and a few simple ingredients. Think cheese, yogurt, butter and ice cream.